California vital records are available in Sacramento for births and deaths occurring on or after July 1905, obtainable for $16 and $12 respectively, payable by check or money order to the California Department of Public Health - Vital Records. For California birth records before July 1905, contact the relevant County Recorder; similarly, California death records for that time are not centralized. To receive either certificate, you will need to complete and notarize the signed statement; non-notarized applications will not be processed. 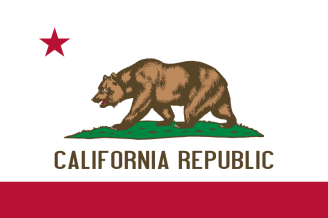 The state of California was admitted to the Union in 1850, after a brief existence as the California Republic following secession from Mexico and subsequent annexation by the United States. For much of the twentieth century, the state was a Republican stronghold, voting only for Lyndon Johnson from 1952 to 1988, but after that period it became reliably Democratic. Note: If requesting an Authorized Certified Birth or Death certificate online or by fax, applicants must complete a Sworn Statement and a notarized Certificate of Acknowledgment in the presence of a Notary Public. Record Access Requirements: Certified records are not open to the public. Requester must be related to the subject or attorney representing subject or subject's family. However, persons who are not eligible to receive a Certified Copy can receive a Certified Informational Copy. Search Note: If you do not use their form, the search may be delayed 2-3 weeks. Note: There will be a 2-3 week delay if you do not use their form.